“What is heaven like, daddy?” How many of us haven’t tried to answer that question in terms a four year old can understand. In 2010, Todd Burpo, a Methodist pastor from Nebraska, released a book called Heaven is for Real. 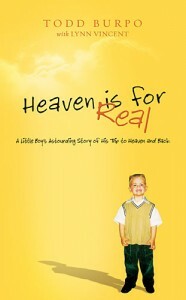 The book documents the story of Burpo’s four year old son, Colton, who says that he went to heaven while undergoing an emergency appendectomy. Colton describes in great detail the heaven he saw. The book has now been made into a major motion picture starring Greg Kinnear which will be in theaters on April 16th. Our book club at church discussed the book a few weeks ago in anticipation of the movie. The question everyone wanted to know is: Did young Colton actually see heaven? That’s a tough question. According to the Bible, there are really only three possible explanations when someone claims to have experienced a supernatural event such as this. 1. There is a natural, scientific explanation. Not everything which appears to be supernatural is supernatural. UFO’s sometimes are just weather balloons. People with mental illnesses sometimes see things that aren’t there. Charlatans try to manipulate us with tricks and lies. Our imaginations sometimes get the better of us. To be clear, we have no reason to think Colton is lying or made it up. Many studies have been conducted on “near death experiences.” People from every culture and religion — even atheists — have claimed to have seen or experienced extraordinary things while near death. Some see a bright light. Others speak of feeling an overwhelming peace. Still others claim to have seen heaven or God or their dead loved ones. Scientists attribute many of these “near death experiences” to lack of oxygen, chemical reactions and electrical impulses in the brain. Could that explain what Colton saw and experienced? Maybe. Some in our group, however, asked about the great detail with which he described heaven. Colton talked about people and events that he would have not known. His parents claim that they never spoke with him about such things beforehand. One could argue, however, that he could have subconsciously learned or heard many of those things even at his young age. 2. What Colton saw was from God. From what we can tell, we have to say that Colton didn’t actually die and go to heaven. We know that because, though there were complications during his surgery, the doctors state unequivocally he never actually died. But that doesn’t mean God didn’t give him a vision of heaven. This wouldn’t be the first time God allowed a person to catch a glimpse of the glory of heaven. The Apostle Paul wrote about a man (most likely Paul himself) who was taken up to heaven in a vision and allowed to see it (2 Corinthians 12). Could God have allowed Colton to see heaven? You bet. God can do anything. Since Colton’s vision, he and his family have made it their mission to let people know that heaven is a real place. They have shared with millions of people the good news about how Jesus won heaven for all people. Could God have allowed Colton to see heaven so he could share what he saw with the world? Again, yes. But, did he? There are some things about Colton’s account which don’t seem to jive with what the Bible says. For example, when Paul saw his vision of heaven, he saw and heard things which were “inexpressible.” Human words cannot fully describe heaven. Human minds cannot fully fathom it. Instead, God in his Word gives us numerous “pictures” of what heaven will be like, especially in the book of Revelation. But such pictures are just that — symbols and figures to help us understand what heaven is going to be like. One reason we know that is because the descriptions vary. Sometimes heaven is described as a crystal sea with a throne in the middle (Revelation 4). Sometimes it is described as the temple in Jerusalem (Isaiah 6, Revelation 16). Sometimes it is described as a city of gold (Revelation 21,22). Will heaven look the temple in Jerusalem? Will it literally have streets of gold? Maybe, but that’s not the point of the descriptions. The pictures the Bible gives us of heaven are to help us understand in human terms concepts human minds cannot fully comprehend. What we do know for sure about heaven is that it will be perfect. There we will see God face to face (Revelation 21:3). There we will be reunited with all those who believe in Jesus (1 Thessalonians 4:13-18). There we will no longer suffer any pain or problem or death (Revelation 21:4). More than that, God has not chosen to reveal to us in his Word. So the question we must ask is why would God now suddenly reveal new details about heaven 2,000 years later? Was his revelation in the Bible not enough? The book also reveals that all children who die go to heaven. That is something the Bible in no place tells us. What the Bible does tell us is that from the moment of conception all people are sinful (Psalm 51:5). Jesus himself tells us that little children can believe (Matthew 18:6). Only through faith in Jesus can a child be saved (Mark 16:16). The tools God has given us to give a child faith are Baptism and his Word (Matthew 28:19,20). But what happens to a baby or child who dies without being baptized? The Bible doesn’t tell us. The child deserves to go to hell as do we all, but God hasn’t revealed to us what he does. Could God find another way to give the child faith? Sure. God can do anything. Does he do that? I don’t know. God has chosen not to reveal that to us in his Word. 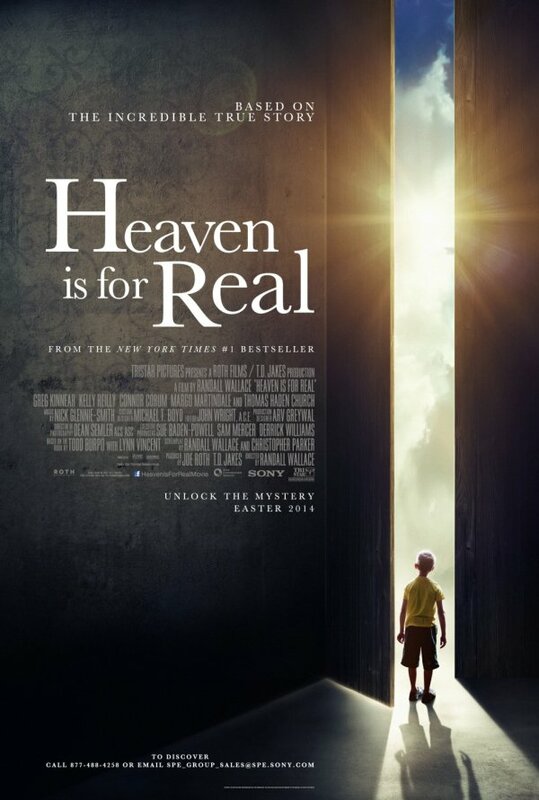 If Colton really did see heaven, though, the mystery has now been revealed: all children go to heaven. Again, why would God suddenly decide to reveal that to us? The book includes many other details about heaven not mentioned in the Bible (e.g., we will have wings, our bodies will look like they did when we were young, etc.). Doesn’t God say that what he has revealed to us in the Bible is sufficient (Luke 16:19-31; Revelation 22: 18,19)? So why would he now give new details? 3. What Colton saw was from the devil. What? I know that sounds crazy, but we have to consider it as an option. If something supernatural occurs which isn’t from God, the only other source is the devil and his demons. The Apostle Paul warns us that the devil and his demons have the power to accomplish supernatural signs and wonders to deceive those who refuse to listen to God’s Word (2 Thessalonians 2:9-12). But wait! Colton saw heaven. His vision was one of peace and love. How could that be the devil? In order to deceive us, the devil can masquerade as an angel of light (2 Corinthians 11:14). In other words, he can appear as good and beautiful things in order to lead a person away from the truth. The only way to recognize him is to compare what he reveals with the truth of God’s Word (1 John 4:1). Though it is not a possibility we like to consider or one that is politically correct, even a child can have a vision from the devil to try to lead him and others astray. So what did little Colton see? In the end, there are only three possibilities: 1) it was something that can be explained naturally; 2) it was a vision from God; or 3) it was a counterfeit vision from the devil. Those are the only three possible explanations. What do you think Colton saw and why? Leave a comment and let us know.